Louis Vuitton Bag Hampstead Damier "Ébène"
Louis Vuitton Hampstead Damier “Ébène”. Tote bag style with traditional trim and cut. 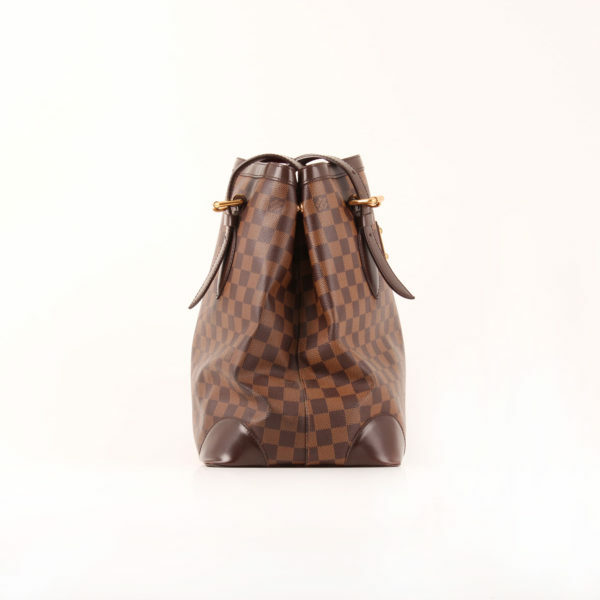 Roomy enough to stay careless. 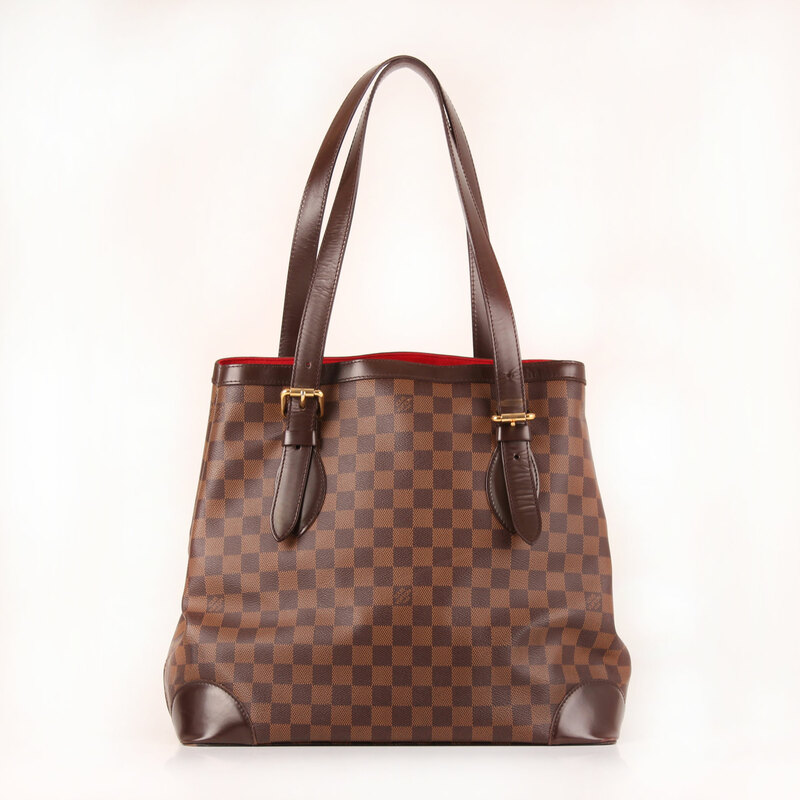 Model tote bag style from the French brand, the Hampstead in Damier ebony canvas is very roomy and classic. 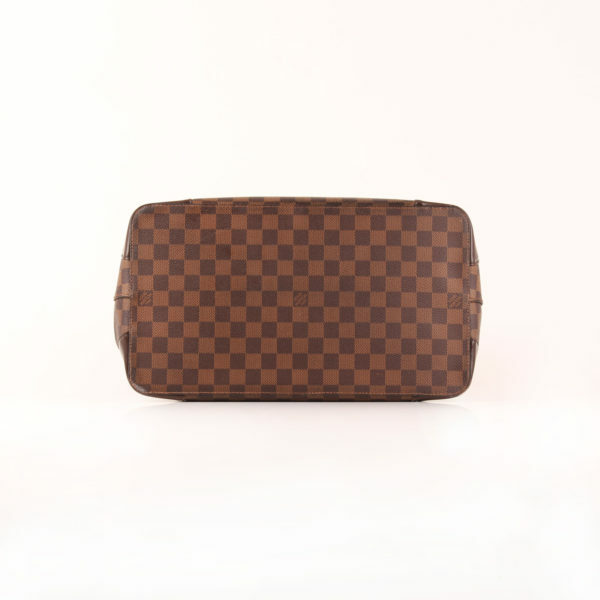 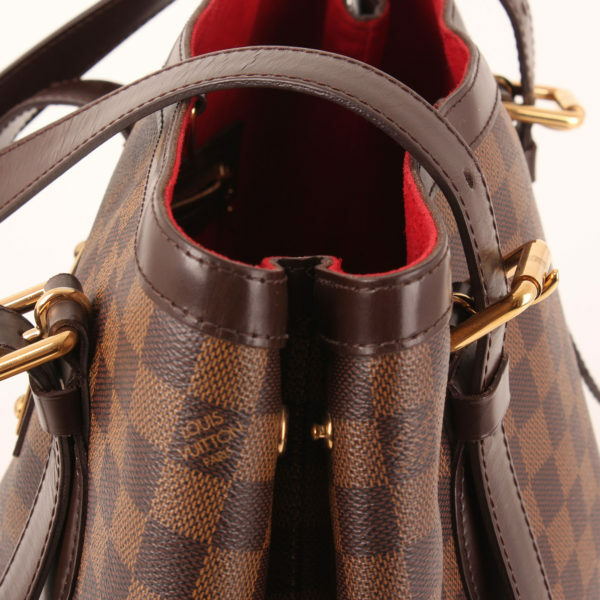 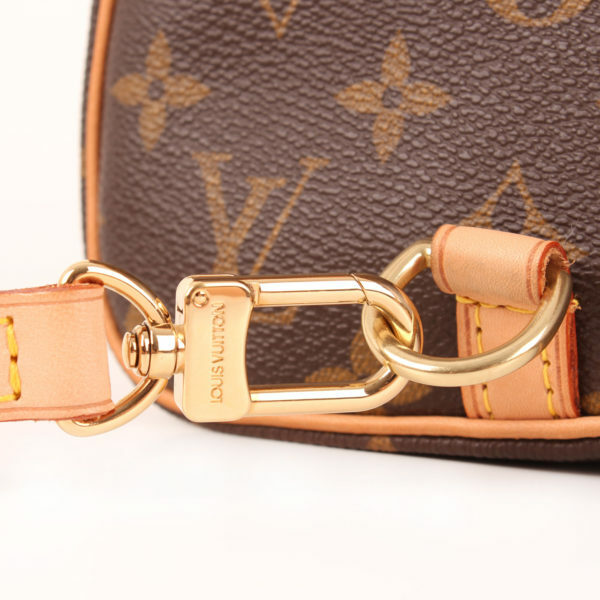 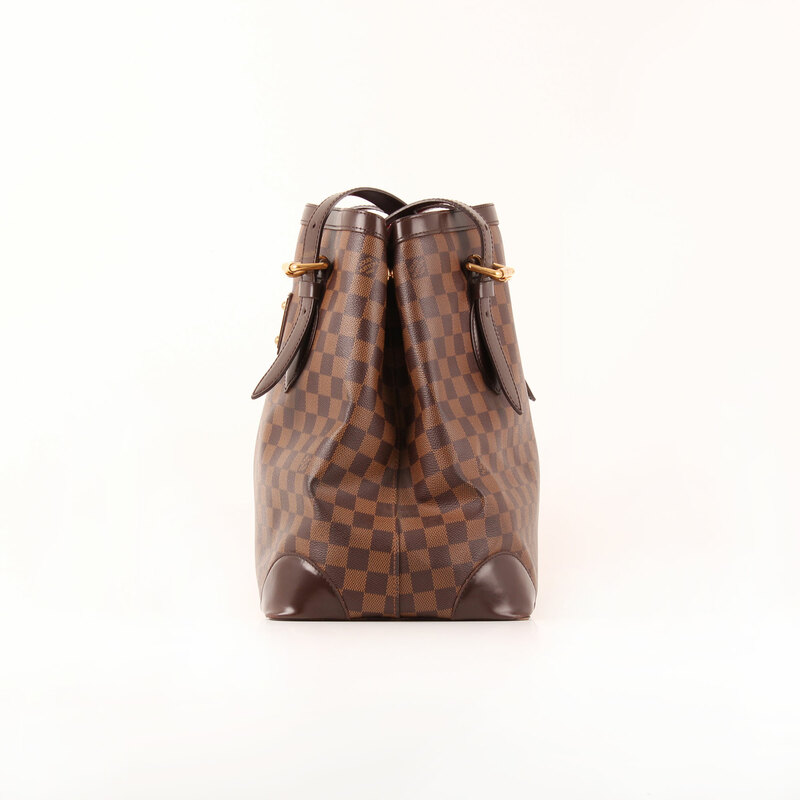 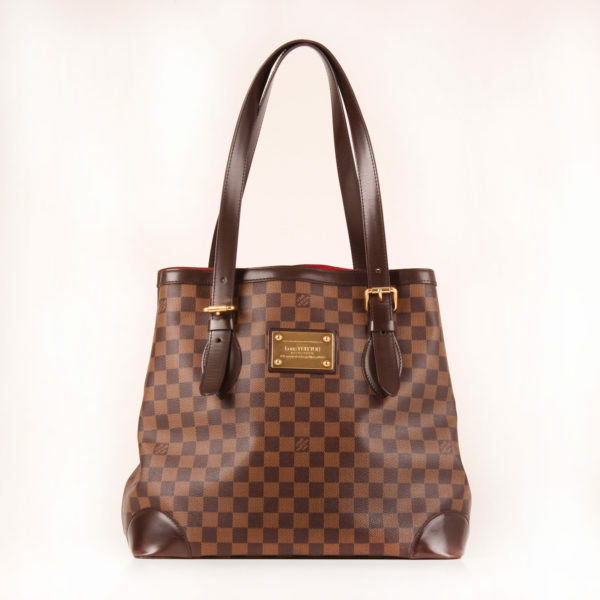 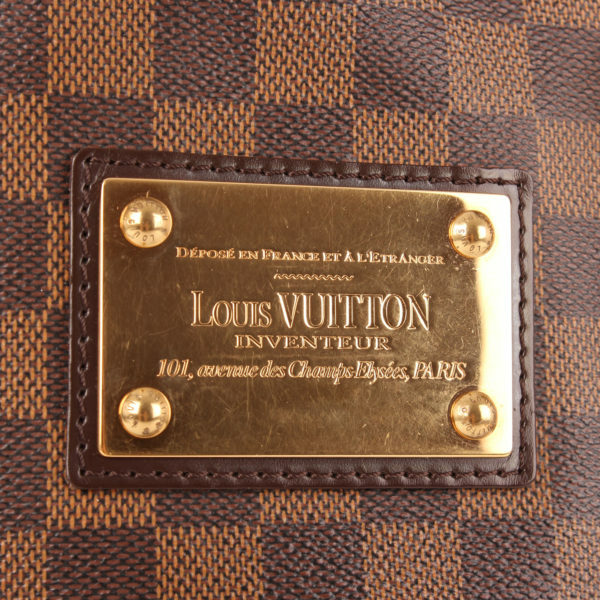 It features two brown leather handles, leather trim and gold hardware, highlighting the Vuitton badge in the front part. 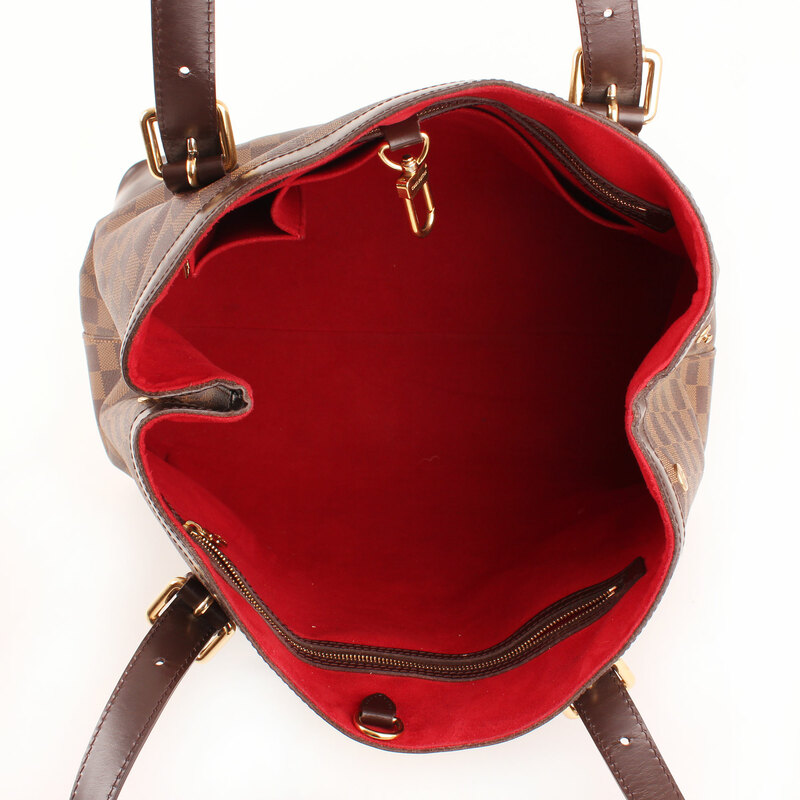 Handles are adjustable. Upper part is left open but can be adjust with a little carabiner. 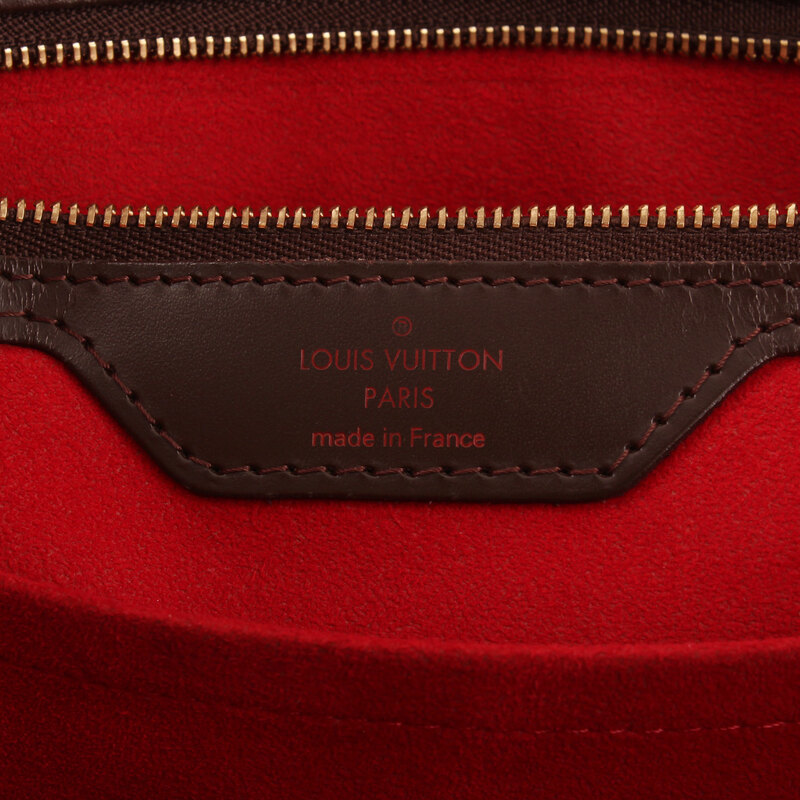 Red suede lining showing multiple pockets: two open and two zip closing. Details: Two pushlocks in upper corners to narrow the bag. 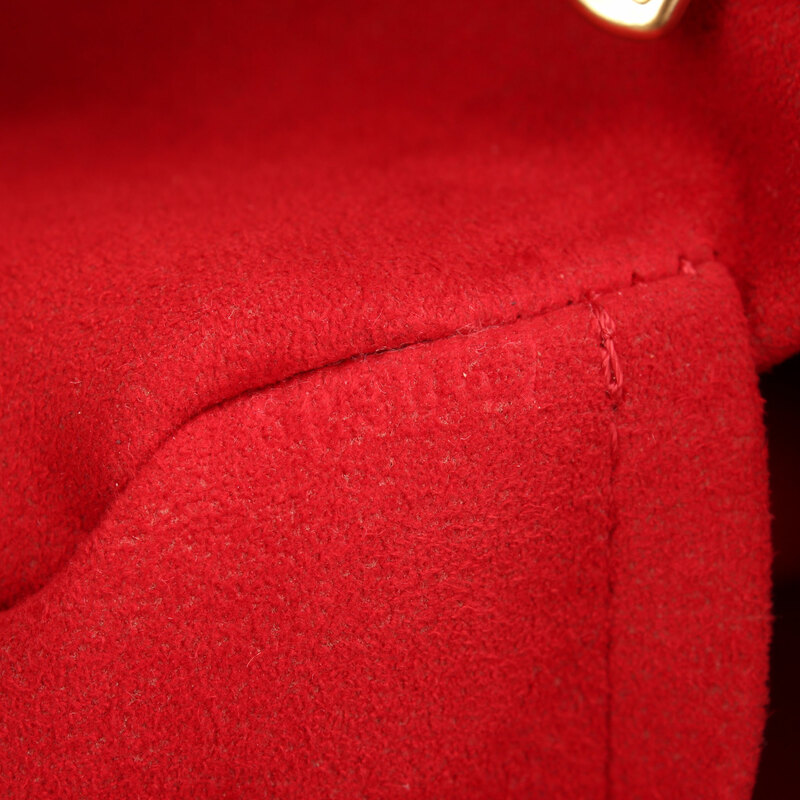 Signs of wear on base angles. 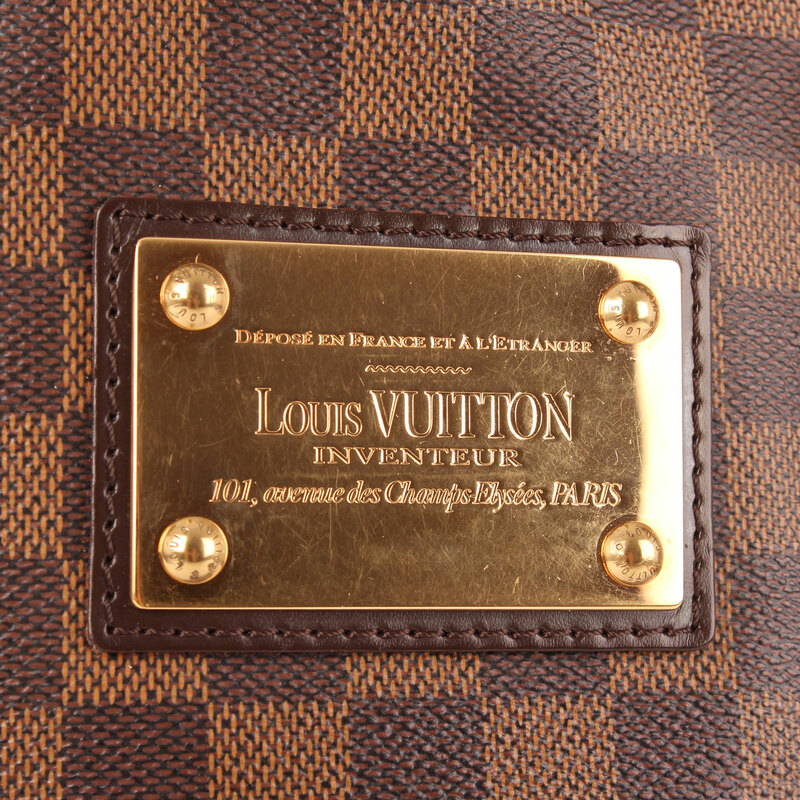 Leather and badge show signs of usage.